The Australian Curriculum, Assessment and Reporting Authority (ACARA), in collaboration with states and territories, has developed an agreed Australian curriculum for English, Mathematics, Science and History. Each of these learning areas includes content statements that represent essential learning for all Australian students. In NSW, the Board of Studies has worked closely with teachers and key education stakeholders to develop syllabuses that include the Australian curriculum content and further detail that clarifies learning. As a result of this work, Kindergarten to Year 10 syllabuses provide direction to ensure greater consistency between NSW schools. The new syllabuses build on the strength of the existing NSW curriculum. 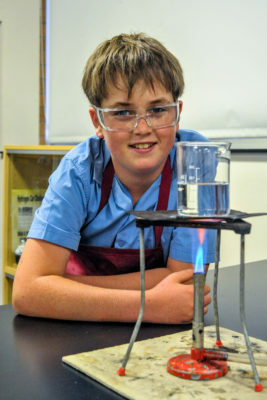 Many features of the new K–10 English, Mathematics, Science (incorporating Science and Technology K–6) and History syllabuses are retained. Literacy and numeracy remain important areas of focus in the new curriculum. The syllabuses identify essential knowledge, understanding, skills, values and attitudes that students are expected to develop in each learning area. They are designed to provide flexibility for teachers to develop their teaching and learning programs to meet the needs of their students. In 2014 the Years 7 and 9 English, Mathematics, Science and History courses will commence and in 2015 teachers will start teaching the Years 8 and 10 English, Mathematics, Science and History courses. Further information for parents is available on the NSW Board of Studies website. In 2011 the NSW Minister for Education announced that School Certificate tests would not continue beyond that year. Starting with Year 10 in 2012, eligible students who leave school prior to receiving their Higher School Certificate will receive the NSW Record of School Achievement (RoSA). It will offer a means of recording extra-curricular achievements.